Whenever I can, I try to watch the evening news and hear what is happening in our world. Before the end of each show, they normally try to highlight at least one uplifting human interest story. Given the massive amounts of coverage that wars, scandals, robberies & murder are given each night – it’s nice to hear a story with a happy ending. One such story was shared this week and it came from (of all places!) the popular game show, The Price is Right. Most everyone is familiar with the show. 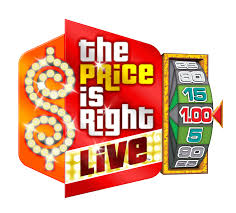 Contestants are chosen from the studio audience and told to “Come on down!” They must correctly predict the price of various household items and are given opportunities to participate in various games (like spinning the wheel) to determine their prize. The reason this story became newsworthy is because the winning prize was the largest in the 41 year history of the game show. The “lucky” contestant, an older woman, went absolutely crazy when she won. It was a Publisher’s Clearinghouse moment… the common reaction of every lottery winner. Everyone is happy to win a prize. This lady went nuts. From running around in circles, screaming, crying, hugging, clapping, jumping up and down – virtually every positive emotion one could experience – she had them all simultaneously and in a matter of seconds. It was both hilarious and uplifting to watch. No wonder it made the news. I’d much rather watch this than hear another story of how the Obama-care website is down. Her prize was a coveted brand new car. In fact, it wasn’t just a car. It was a black Audi R8 Spyder Quattro, valued at $157,300… just above the value of my car. 0 miles on the odometer. Unmistakable smell of new leather. Immaculately clean. Sleek, shiney, powerful. You name the amenity, it had it fully loaded. No wonder this aging Mom loved it. She gets to finally retire her old mini-van. She no longer has to sit in seats made sticky from years of fast food spills. She has the luxury of driving to the grocery store in style. She has the benefit of getting to her future destinations in record time. I think it is safe to say that she is the only normal grandmother on the planet driving such a vehicle. Even the game show host, Drew Carey, was jealous! Who wouldn’t like to receive a brand new car? In fact, who doesn’t like to receive a brand new anything? Everyone likes something new. Whether it is a new pair of shoes, a new outfit, a new car, a new computer or a new haircut – we all like something new. And “brand new” is even better. It means we are the ones that get to “break it in.” We are the ones that get to enjoy it like no one else ever has. During the Great Depression, broken things were mended and repaired because people could not afford to replace it. In our affluent culture, we are quick to replace our old items with new ones. Why drive an old car if we can drive a new one? Why wear the old dress if we can afford a new one? Why keep the old computer when the new ones are faster/better? In many ways – particularly with things – new is better. Sometimes we need to say goodbye to the old thing to make room for the new. Sometimes we need an upgrade or a change of pace or a change of scenery to help us get where we need or want to be. The old adage “out with the old, in with the new” can often be the best course of action. As humans, we tend to focus on the physical components of our world. We tend to concentrate on material things. God, being Spirit, focuses on the spiritual. We both enjoy new things – we just go about getting them differently. We like to exchange old for new. God likes to transform one to another. We like to replace an old hat. God prefers to transform an old heart. I don’t know about you, but 2013 was a rough one for me – a year of repeated loss. I lost jobs, a home, material possessions, precious relationships and for a season, even my freedom. In spite of the intense loss – God met me in the ashes and revealed Himself in new ways. Though I wouldn’t want to repeat the difficult experience, I am grateful for what I learned because of it. My yesterday is messy but today is a new day filled with new opportunities, new possibilities, new hopes. And because of my yesterdays, I can appreciate the todays so much more. Reminds me of this poem I once read. Perhaps you resonate with it too? He came to my desk with a quivering lip, the lesson was done. I went to the throne with a troubled heart, the day was done. Have the locusts eaten some of your crops? Be encouraged, a harvest is still possible with God handling the plowshare.